Inflation-adjusted immediate annuities can help protect your quality of life in retirement. 1. When Should I Turn My Savings Into an Annuity? 2. How Do I Evaluate an Annuity? 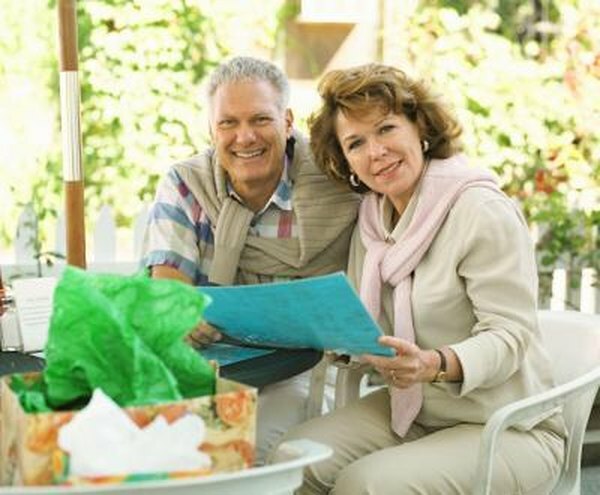 There's a lot of guesswork involved in planning for retirement. You can't know how long you'll live or what your cost of living will be, so the best you can do is guess how much of a nest egg you'll need to accumulate. If you're concerned about outliving your income or losing purchasing power to inflation, an inflation-adjusted immediate annuity addresses both of those concerns, but it comes with a price. An annuity's life cycle breaks down into two parts. The first is the accumulation phase, during which you build your retirement income. The second is the payout phase, when you take income from the annuity. Young investors typically buy deferred annuities, which postpone paying income for years or decades, giving the capital time to grow. Immediate annuities begin paying an income within one year of their purchase. They're purchased with a lump sum -- usually consisting of money in another investment vehicle -- when you reach retirement age. You can protect yourself against outliving your income by taking lifetime payments from the annuity. It's comforting to know you'll receive income from your annuity for as long as you live, but an income is only as good as its purchasing power. Over a period of decades, inflation will begin to erode the value of your income. A sharp transient spike in the cost of living can be even more damaging. Some issuers of immediate annuities counter this by offering an annual adjustment to reflect the current cost of living. Each year your income payments will increase, offsetting the effect of inflation. At first glance an inflation-adjusted annuity seems to offer an ideal solution to the dual risks of outliving your income and watching it dwindle through inflation. Unfortunately, it's not that simple. For insurers to make a profit on those products they must calculate how long you're likely to live, set the payments on that basis, and leave some margin for error. When inflation is added to the equation, insurers must hedge their bets a little more aggressively. That means you'll get less return on your capital with an inflation-adjusted annuity. Like many other investment decisions, opting for an inflation-adjusted immediate annuity is a question of doing the math and deciding how safe you want to be. Compare the income payments you'd receive from an annuity with and without the inflation adjustment, then work out the impact of inflation on the unadjusted annuity payment. Historically the average is about 3 percent, but it can vary over the shorter term. You'll have to decide for yourself whether the security of inflation adjustment is worth the immediate cost in monthly income. CNN Money Ultimate Guide to Retirement: Immediate Annuities -- What Are Its Disadvantages? USA Today: Should You Get an Inflation-adjusted Annuity? What Are Single Premium Deferred Annuities? What Is a Two-Tier Annuity?